Our program focuses on a child’s motor and cognitive skills by teaching proper movement in an interactive and fun group setting through challenging the children to think about their movement, count their repetitions, remember sequences and work towards goals. CrossFit Victus Kids supplements a child or teen’s involvement in sports by incorporating strength training and conditioning to make our participants better athletes at any sport or play. Skill development: They will a learn a new physical skill each session, for example how to jump rope correctly, do handstands and loads of other fun challenges to master. A short workout (often in teams or pairs) involving body weight movements and cardiovascular activities like burpees and running. A fun game that will tie in to the day’s life/safety lesson. A 3-5min lesson covering life skills and safety skills. 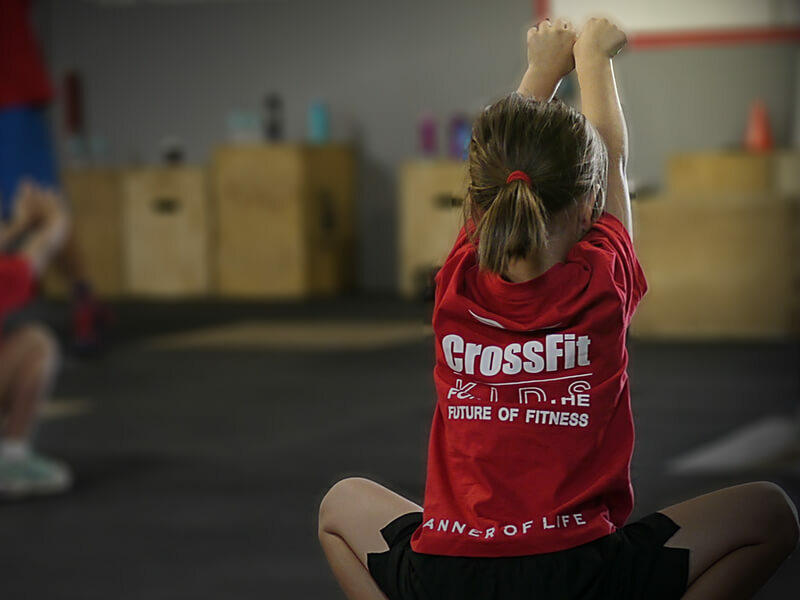 The goal of CrossFit Kids is to provide the knowledge, ability, and skills which will allow our youth to grow and mature instilled with the virtues of an active and healthy lifestyle. As well as playing an active role in injury prevention for children participating in specialty sports. CrossFit Kids is a progressive coach led kids gym program. The class structure across the age groups is generally the same. Classes include a warmup, skill drills and workout and exercise intensive games. For teens we’d encourage post workout study as research has found there is an optimal learning capacity of the brain for 20-40 minutes after exercise. CrossFit Kids & Teens fitness program combines gymnastics, body weight calisthenics and weightlifting elements to develop capacity across ten general physical skills: cardio-respiratory endurance, power, strength, stamina, speed, agility, flexibility, balance, accuracy, and co-ordination. Additional elements that encourage bone density development, cross body movements and exercises that involve the vestibular system are also incorporated. Children and teens have a greater opportunity (relative to adults) to maximise their physical skills when exposed to this stimulus during years of peak development. The elements are combined to keep children engaged and entertained, while teaching them proper movement technique and creating a broad athletic foundation. Nutrition is also discussed as the basis of athletic performance and health within a supportive community.